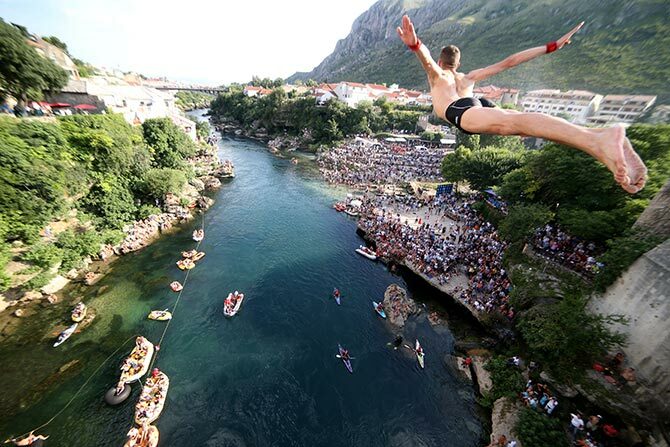 Would you dare take this leap of faith? 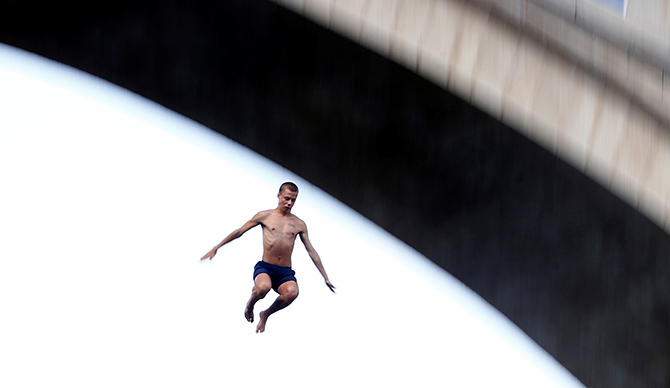 Thread: Would you dare take this leap of faith? 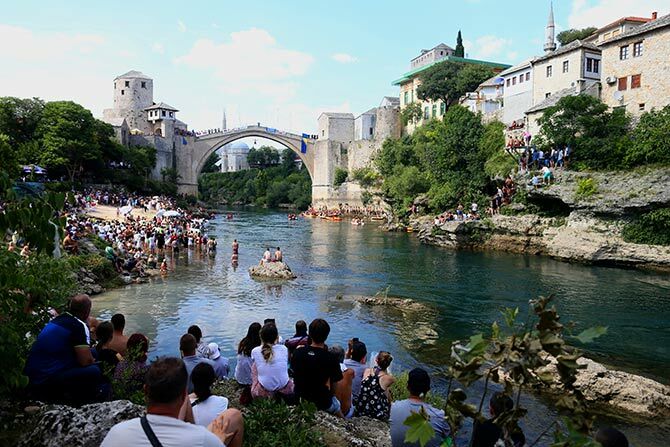 For those seeking adventure, head to the ancient Bosnian town of Mostar where on can get their high by jumping off a historic bridge into a fast-flowing river. 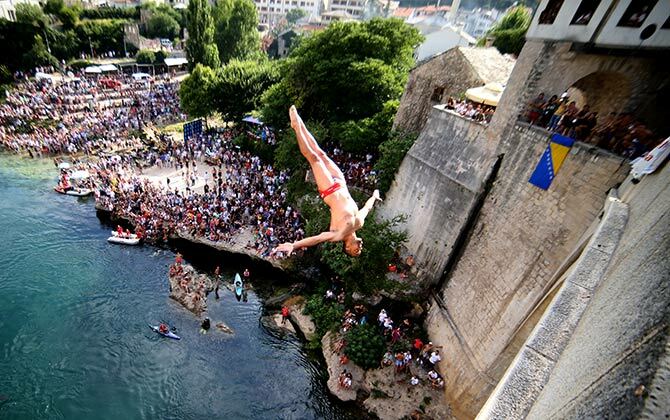 Welcome to the annual traditional diving competition. For those who won?t dare to do this, here?s a glimpse of what takes place.